Leyton Orient’s remain bottom of the table, after a heavy 4-1 home defeat to top of the table Doncaster Rovers at The Matchroom Stadium. League leaders Doncaster took the lead near the end of the first half with a superb low strike from Tommy Rowe. The O’s equalised just before the break through an unlikely source, as Tom Parkes slotted home to level the match up. Former O’s striker John Marquis regained the advantage for the visitors with another clinical low strike, after an Orient mistake. He grabbed his second late on to slot in from close range. Another former Orient player also got on the scoresheet Mathieu Baudry completed the rout shortly after with a great volley to secure all three points. Danny Webb made five changes to his side they were defeated 5-0 away to Accrington Stanley on Tuesday, as Alex Cisak returns to the side between the sticks ahead of Charlie Grainger. Along with Liam Kelly, Aron Pollock, Nigel Atangana and Michael Clark who replaced the injured Nicky Hunt (Knee) and Callum Kennedy (Groin), with Freddy Moncur and Sam Dalby dropping to the bench repectivly. Orient were the first to have a threat on goal, as Sandro Semedo’s corner was not totally cleared by Doncaster and Clark header from the clearance went just over the bar from inside the box. Doncaster nearly took the lead 22 minutes in, when a looping cross into the box found John Marquis to head goalwards which was palmed away by Cisak at full stretch. The visitors started to assert their pressure on Orient, as full-back Matty Blair whipped in the ball for Rowe to meet but was straight at Cisak. Doncaster broke the deadlock nine minutes before the break, as Orient did not clear their lines properly and Rowe picked the ball up on the edge of the box and struck his shot low into the bottom corner beyond Cisak. Orient equalised on the stroke of half-time, as Parkes carried on his run from his own box laid it off to Gavin Massey who fended off his man went passed another Doncaster defender and slotted in the unmarked Parkes who coolly tucked it passed Ian Lawlor – to go in at the break level. In the second half, Doncaster almost regained the lead as the ball found its way into the six-yard box to Marquis who looked certain to hit the target but for a superb block by Parkes. The away side did retake the lead, after a bad pass from Pollock straight into the path of Marquis whose shot went in off the post – out of the reach of Cisak. Doncaster missed a great chance for their third, as Judd’s half clearance fell to Alfie May inside the box but he dragged his shot well wide of the target. The away side spared another glorious chance, as they broke from an Orient corner and substitute Andy Williams was played in on goal but hit his shot well over. Williams again was played through Orient’s own wrong doing and burst to the edge of the box but blazed his shot well over. Doncaster grabbed their third with eight minutes to play, as Williams again broke free of the defence this time he squared the ball across goal for Marquis to fire past Cisak. The away side got their fourth with four minutes remaining, as the cross came in and Baudry’s first time fierce volley flew into the bottom corner – to see off the O’s and take all three points. This entry was posted in Football, Sport and tagged Doncaster Rovers, EFL, Football League, League Two, Leyton Orient. 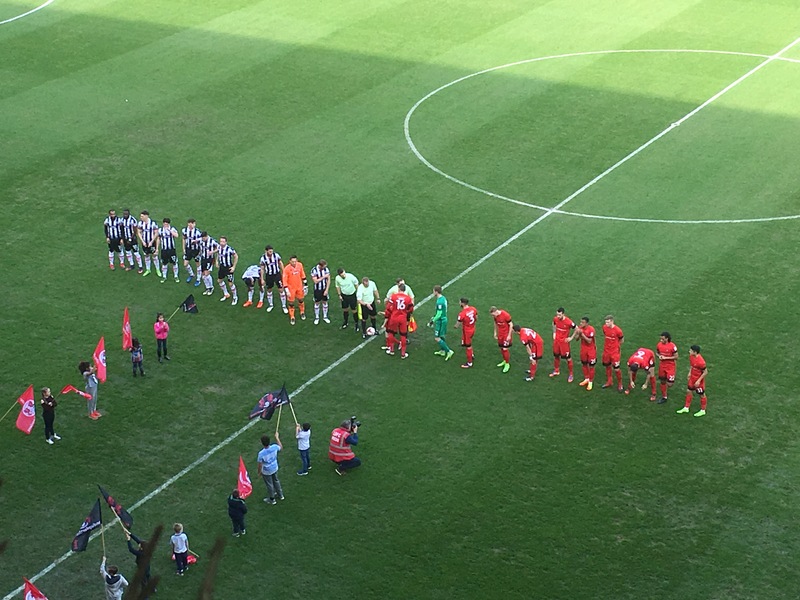 Leyton Orient suffered a further blow to their League Two survival, as they slip six points adrift of safety after a 3-0 home defeat to Grimsby Town at The Matchroom Stadium. Grimsby took an early lead through Sam Jones’ header to shock the hosts. The away side then doubled their lead in the second half, through an own goal by Callum Kennedy and capped off the three points with a third through substitute Scott Vernon. 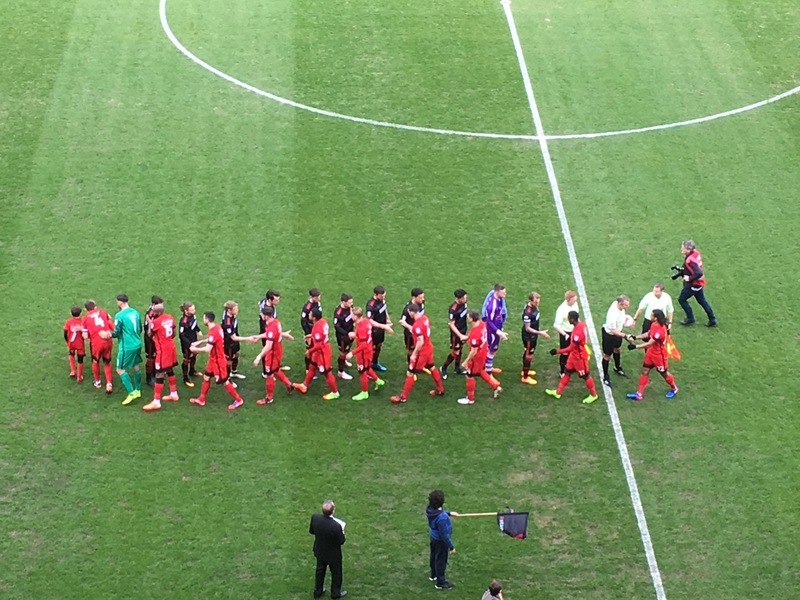 Leyton Orient nearly conceded in the opening minute, as Charlie Grainger was charged down by Callum Dyson but the block was eventually pounced on by Charlie Grainger. Danny Webb named an unchanged eleven after their enthatic 4-0 away victory at bottom of the table Newport County last week. Although Michael Clark, Nigel Atangana and Rowan Liburd returned to the bench, as Paul McCallum and Sammy Moore were out with knee injuries. The visitors took the lead to stun the O’s just six minutes in, as Danny Andrew’s was allowed to whip a ball in for Jones to head in at the far post. Michael Collins’ almost threaded a great ball through for Josh Koroma but his run was just too early, as he was given offside. In injury time of the first half Dominic Vose, went for goal from a dangerous free-kick on the edge of the box which bounced up infront of Grainger who pushed it passed the post. In the second half, Grimsby again looked threatening when inside the Orient half. This time a cross was half cleared to Jones who went for an audacious overhead kick which went wide of the target. Grimbsy burst through the vacant Orient defence, as Jones attacked the box cut inside Myles Judd but Hunt’s last minute challenge denied the away side an almost certain second goal. The vistors nearly extended their advantage, as Andrew was slotted into the box but he fired over. Grimsby doubled their lead shortly after, as Jones close range shot from inside the six-yard box was superbly saved initially by Grainger but rebounded back off Kennedy into the net. Orient nearly got themselves back into the game, as Koroma found some space on the edge of the box and hit a snap shot which went just over the bar. Koroma again went on his own when he picked the ball up outside the box and wriggled around the defence but his shot hit the side netting. Grimsby then rounded off the match with two minutes of time, as the ball was lifted over the O’s defence for substitute Vernon to guide his volley into the top corner and seal the three points for the away side. Kennedy almost got a late consolation in injury time for the O’s, as his strike on the break rattled the post – as the O’s remain second from bottom. This entry was posted in Football, Sport and tagged EFL, Football League, Grimsby Town, League Two, Leyton Orient.